Most folks know New Orleans for the cocktails, rich food, partying, and history. But there are interesting things in the city that get less attention. All that fun happens just a short walk from the fourth longest river in the world, a beautiful place that feels continents away. Storms regularly roll off the Gulf of Mexico. 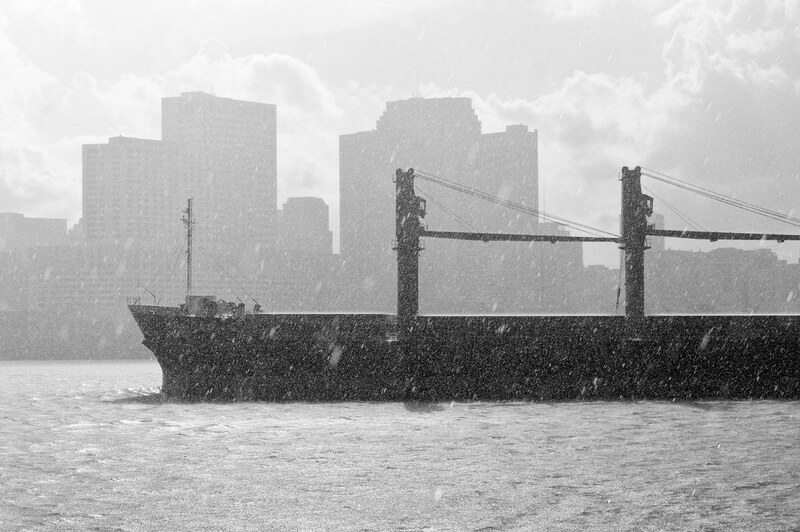 The ferries and cargo ships keep moving, even as the rest of the city heads for shelter. 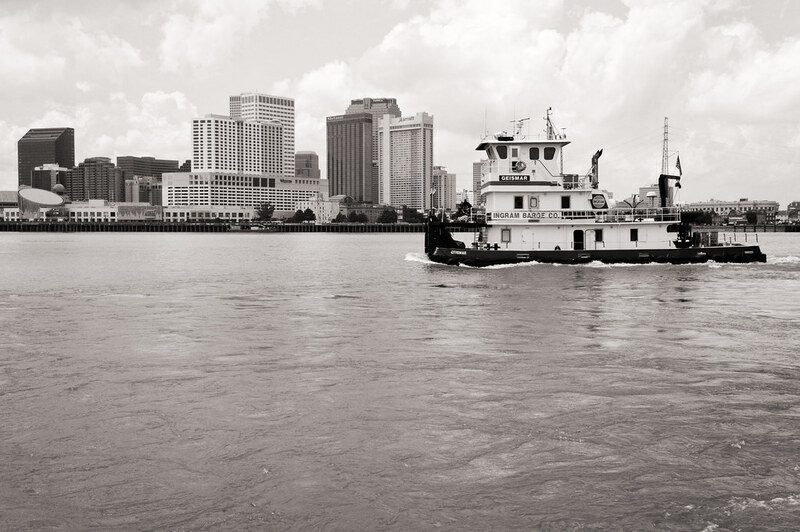 Local lore has it that even the strongest swimmers would drown in the Mississippi. They say that the unpredictable currents pull swimmers under as easily as a giant squid. If you're observant, the occasional strange wave pattern reminds you of the forces moving more than 200,000 cubic feet of water per second into the Gulf of Mexico. 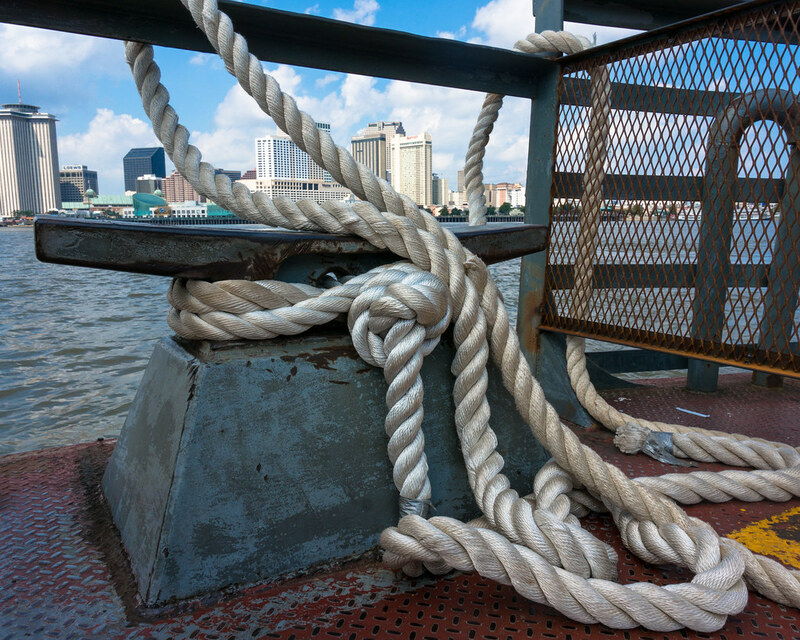 I enjoy the peaceful ride on the ferry from Algiers Point. It's a magic place between banks where there is nothing to do but enjoy the river and get some relief from the stagnant air on the street. There are many abandoned buildings in New Orleans. None are quite as large or prominent as The World Trade Center building. It lies dormant and crumbling on the bank of the Mississippi, just a few steps away from the Algiers ferry. If you peer through the glass doors, you can see how the lobby has probably looked for the past fifteen years. 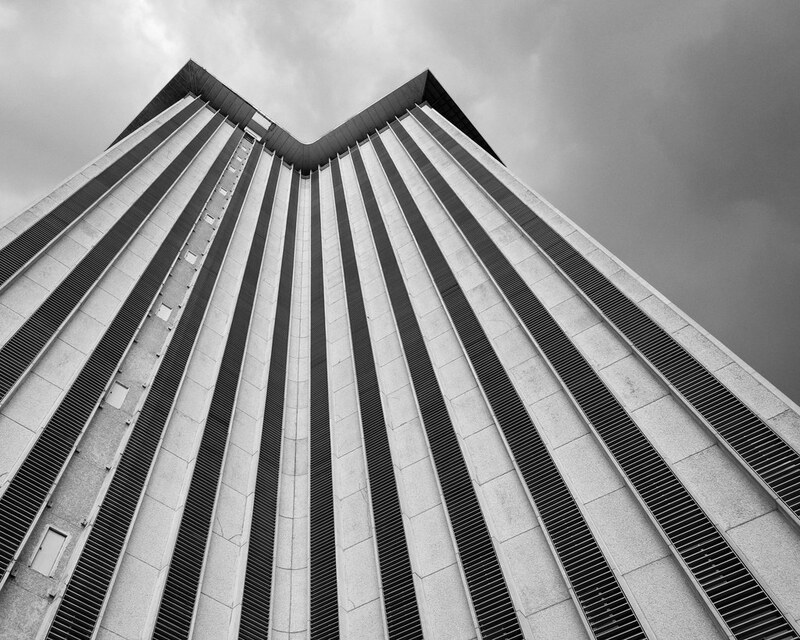 Every so often, a plan is made to either demolish the building, or to renovate it for new business. So far they've all fallen through. It's a shame, because it's a unique building. I bet the view from the top floor is amazing. 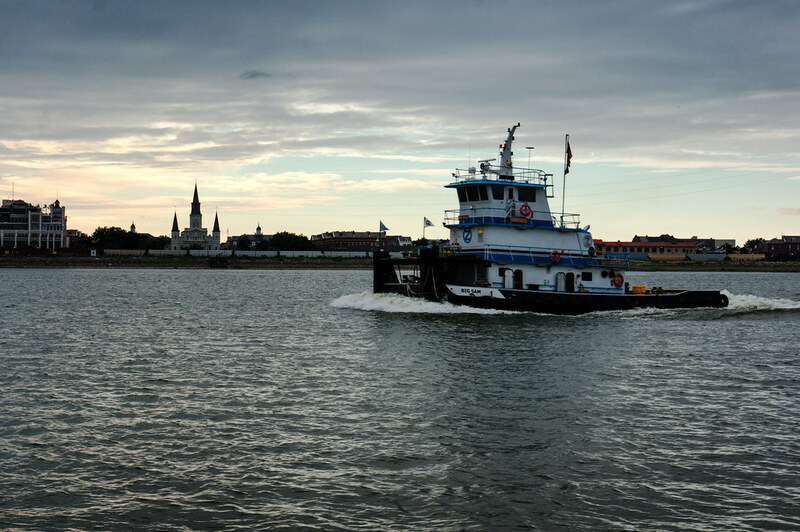 A tug pushes upstream as the sun sets behind St. Louis Cathedral. From the river, it can be difficult to remember all the tourists who fill the city. 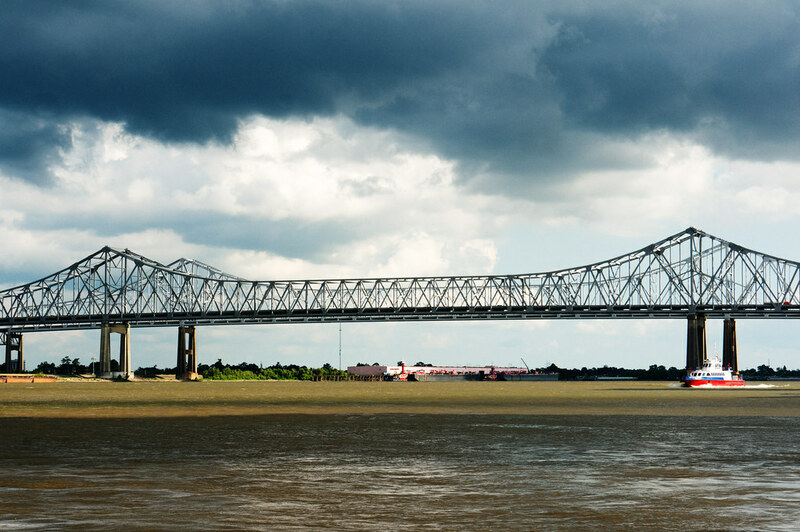 This hopsafari blog has been updating well points about two worlds on the mississippi, really great to know about it. Keep doing in the same way what you are doing in the same way, thank you.